For many educators, teaching Israel, especially about the Israeli/Palestinian conflict, demands a delicate political and symbolic balance. When teaching high school seniors, the political and symbolic stakes exponentially increase because every word you say will, most likely, be reported back to parents, community rabbis, Israel advocacy groups, people on the “right” and “left,” and, in some cases, your words may make their way to the local Jewish press, or the leadership of the local Israeli consulate. As founding Head of School at de Toledo High School for the past 18 years, I appointed myself the teacher of this class. (Why should I have allowed someone else to have all of the political fun, and danger?) I taught it from 2005 until 2018, stopping only when I stepped down from my Headship. Over the 13 years of teaching the class, I was able to satisfy curious kids, have reasonable conversations with concerned parents, and avoid the overall political pitfalls within the Los Angeles Jewish community. So, how was shalom bayit accomplished? Next, we came to a common understanding of what counts as “pro” and “anti” Israel. We created this definition together so that everyone had “buy-in” for future discussion. Most years, the students decided that those who believe Israel should not exist are, indeed, “anti-Israel.” They included Hamas, Hezbollah, and today’s Iranian leadership. Those who believe that Israel has every right to exist, similar to America’s right to exist, were “pro-Israel.” So, they agreed, that when debating with or about the various positions or groups such as AIPAC or JStreet, or with each other, the bottom line question was, “Do you believe Israel should and must exist?” If yes, the group or person was “pro-Israel.” Once a pro-Israel position was accepted by all, then we could debate Israeli policies, history, successes, and failures without the acrimony and name-calling such as, “You are anti-Israel, and therefore there is nothing to discuss.” Among those who accepted the permanent reality of the Jewish state, there was, indeed, much to discuss. Conversations were then framed as machlokot b’sheym shamayim. Finally, and most importantly, the class determined that they wanted to hear the “Truth,” about Israel’s history and current policies. They realized that if I, as their teacher, left out important facts, even negative ones about Israel, they would feel “lied to,” and then begin to doubt the veracity of the entire course. They also wanted the “Truth” about Palestinian and other Arab nation’s actions and beliefs. They wanted to know how two people, both descendants of Abraham, and both adherents of an Abrahamic faith, could be at such odds. They also needed to understand that in a one semester course, I could not cover every aspect of the history or challenges. They accepted that delimitation, and understood that they needed to continue their own journeys of learning about Israel and the Middle East after high school, whether entering college, serving in the IDF (which some did), or in their future places of work. At the outset of the class, on day one, I told the students my general position. I explained how the creation of the State of Israel in 1948 allowed my mother to walk with her head high on the streets of Los Angeles even when seeing signs on hotels that said, “No Jews and Dogs Allowed.” That even after my father, a U.S. Marine at Guadalcanal in World War II, a man who fought to save the world from tyranny, stood a bit taller on May 14, 1948. Students had no doubt as to my pro-Israel bonafides. However, as an educator, I wanted the students to form their own views of Israeli, American, and Arab positions and policies about the conflict. To this end, I never revealed my own thinking, for example, about West Bank settlement policies, the PLO’s views and history, and so forth. What I did provide were facts, trusted resources, methodology in how to read and analyze conflicting websites that purported to provide the absolute “truth” about historical events, endless historical information, and a safe space to air informed opinions, free of recrimination and toxic language. Intellectual honesty backed up by carefully researched information became the order of the day. In teaching students, and adults for that matter, how to engage, how to talk, and how to substantiate one’s positions with dispassion, yet deep concern for the Jewish state, with strong views sans the strong language of accusation and attack, and with powerful reasoning sans the fiery bluster of empty and baseless emotional outbursts, we were able to forge a useful and effective community conversation that unpacked the endless complexities of Middle East history since the days when Isaac and Ishmael parted ways c. 3800 years ago. In my view, our challenge today is to rebuild the foundations for conversation. In a classroom at de Toledo High School in West Hills, California, we were able to do that by establishing the parameters of that conversation from the outset. We defused the “minefield” by simply removing the “mines.” As long as we could all agree that Israel exists, has a right to exist, and that that existence is an established and undeniable fact, then we are able to listen to the “other,” and debate, and disagree, and remain united. So, too, may our Jewish community “hang together.” Failure to do so is unthinkable. 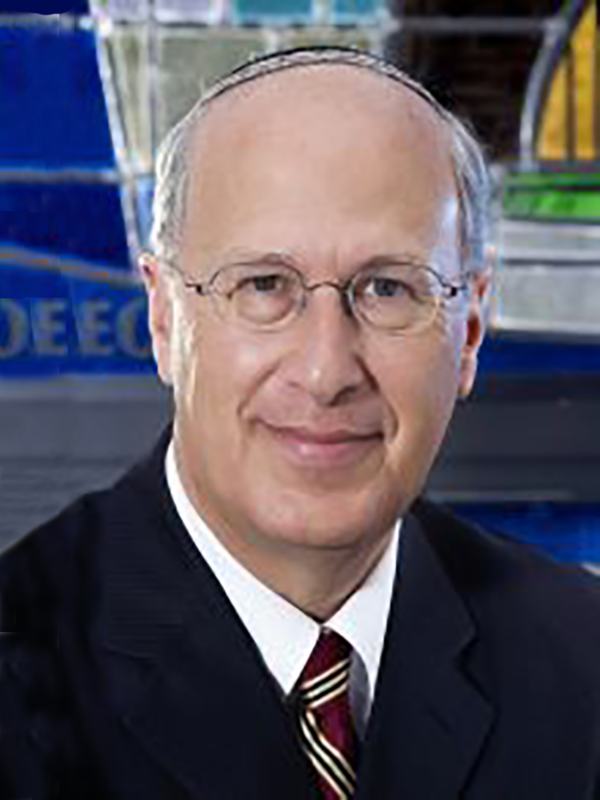 Dr. Bruce Powell is founder of the de Toledo High School (West Hills, California) from which he recently retired after being its long-time Head of School. Prior to that he has helped to found, develop, and lead two other Jewish high schools in the Los Angeles area over the past 37 years including the Milken Community High School, and Yeshiva University of Los Angeles High School. He has also consulted on the development of 23 Jewish high schools in cities throughout the United States. Dr. Powell holds a Ph.D. in Education from the University of Southern California, and has won both the Milken Family Foundation Jewish Educator Award (2005) and the Covenant Award (2008) for his contributions to Jewish education.